The new unCOVered – uncovered! You may have noticed (read: please notice because it took us ages) that unCOVered has a brand new look! 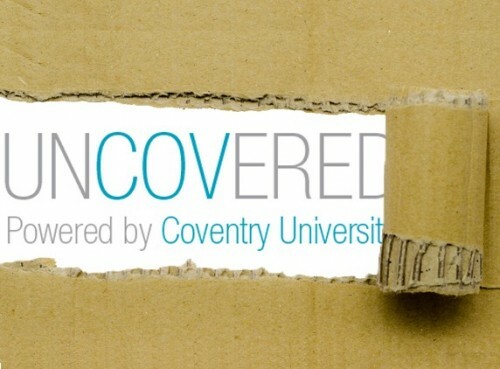 As we’re Coventry University’s only OFFICIAL student blog, we want as much of unCOVered’s content to be written by students as possible. So if you visit the Real Stories category ^up there^ you’ll find special articles written by students, about students, for students! Our other categories are equally important, if you’re thinking about joining CU then check out the Join in! category. Here you’ll find all you need to know about the CU family, including our London and Scarborough campuses, and information about both undergrad and postgrad entry levels. CU Life covers everything about life as a CU student, including getting to know the city, your accommodation, health and wellbeing, academic support and our all important campus playlists feature – music to get you through the week, one track at a time. Want to make the most out of your time at CU? Then visit the Get Involved category! Here you’ll find all the information about enhancing your Uni experience. Whether you’re interested in taking up a new sport, joining a society, taking advantage of travel opportunities or just to find out about upcoming events, this is the section for you. Finally, our #Trending section is where you’ll find all the articles about what’s going on in the world today. Ranging from Kanye West to the best student cars, uni awards to World Appreciation days (not for Kanye), this is the category that’ll keep you up to date with what’s really important (again, not Kanye). Occasionally we’ll add extra categories depending on the time of year, like right now there’s an awesome Freshers section just for you newbies. Keep your eyes peeled for an Arrrgggghhh section (title TBC) during dissertation/exam period, and there may even be a Christmas section too – if I get my way! All that’s left to say is a huge welcome to unCOVered; the same amazing content with a sharp new style. Please use the comments section to let us know what you think of the new look, and if you would like to contribute to unCOVered simply email us with your ideas. Thanks for visiting! ← Freshers’ 15 …as seen on screen!